Loved this car seat keeping it for baby number 3 for when he’s older big brother loved it and cried when he was to big for it. The big selling point for me was the specks in the head rest little man love them only thing is it is a big car seat and not a lot it room when there is two car seat and a 13 year old in the back. I have told friends and family about this car seat. 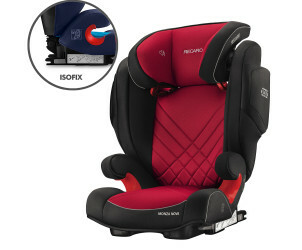 Good strong car seat once fitted in the car by the issofix points it doesn’t move much. Lovely car seat very well made and good value for money. My daughter loves this car seat it allows her to listen to her music or her dvds through the built in speakers and we don’t have to sit through it ourselves. It’s a big car seat so we only use one seat in the back instead of the two but my daughters comfort and safety is paramount. In other car seats my daughter has had she complained the seat wasn’t padded enough but in this seat there is plenty of padding making long journeys more comfortable I wish there was a lie back feature as my daughter still sleeps on longer journeys and this causes some issues with her neck we have used the pump up head rest built in but it’s not that good and other pillows and neck devices are hard to use because the seat is so big around her head. My stepson loves this seat. It's nice and high so he is able to easily see out of the car window. He loves the built in speakers and so do I as it means he can listen to his own music and we don't have to! The seat is quiet big though and we struggle to get 2 other people into the back seat when this seat is in the car. The Monza Nova 2 car seat grows along with your child. The 11-way height adjustable headrest makes it suitable from approximately 3 to 12 years. Reliable protection is provided for the head, neck, back and hip areas, with maximum side impact protection, and optimal safety even for older children. Also available with integrated seatfix connectors. 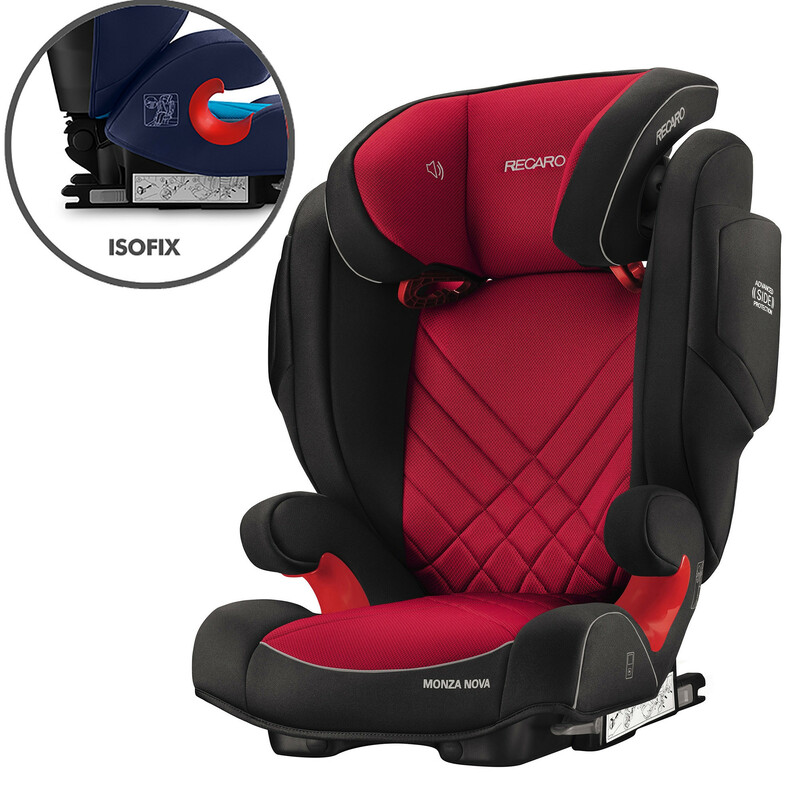 Not only is the Monza Nova 2 car seat safe, it is also comfortable, providing all necessary support with the foam seat and air circulation system. 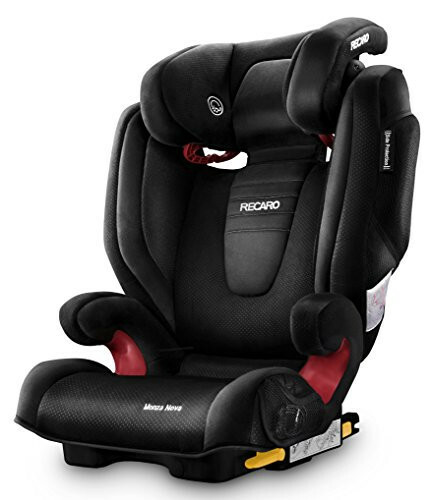 This child seat also impresses with the innovative integrated RECARO Sound System, which encourages your child to keep their head in the protective headrest zone.